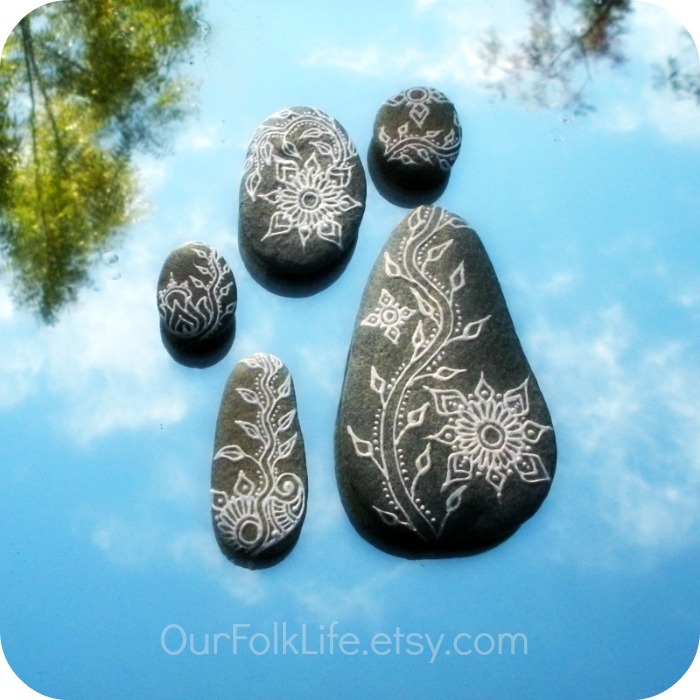 Slim and tiny creek pebbles draped in white acrylic paint in lotus and vine motifs. Vining lotus in miniature a study in purity and devotion. The lotus is thought to represent purity as the lotus flower rises from the mud to reach the sun. Vines are thought to represent devotion as they climb ever upward toward the sun. And the marvelously slim pebbles were carefully gathered on the banks of Stoney Creek in far northern California. The creek bank is now under water. 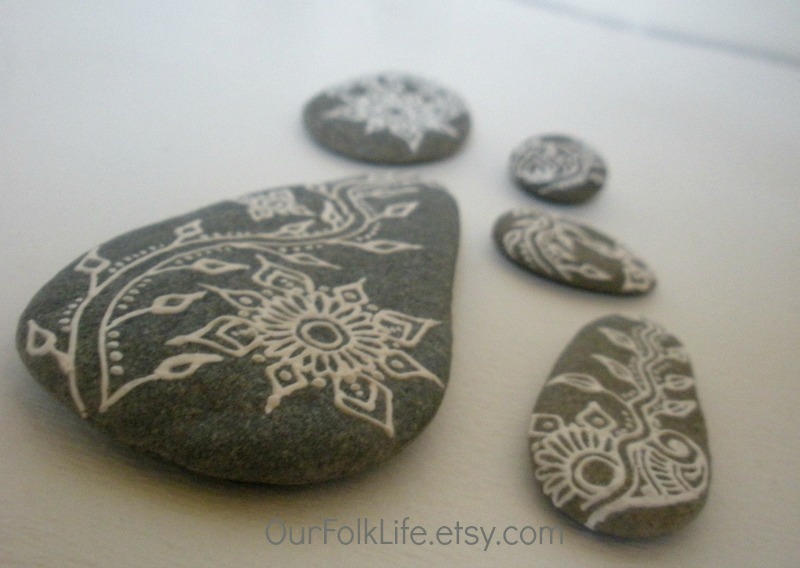 But these pebbles are in my etsy shop. Charming and small, slim and tiny, tactile and palm sized. Natural treasures enhanced for your lifestyle aesthetic. I can trace my pebble fascination to my childhood years living in the countryside. Shoe boxes of quartz, obsidian and the magic golden and brick red ‘chalk rocks’ as well as other lesser known minerals tucked onto shelves. Nature is the most inspiring…I think I’ll go commune with the clouds.